In the process of updating to Lucene version 6.3.0 we switched the main build system to Gradle. The source code is now better organized, following the structure of Maven with all the source divided into main and test, and the resources being separated. It allows for the use of Maven repositories, automates most tasks out-of-the-box and is extended easily using the Groovy programming language. 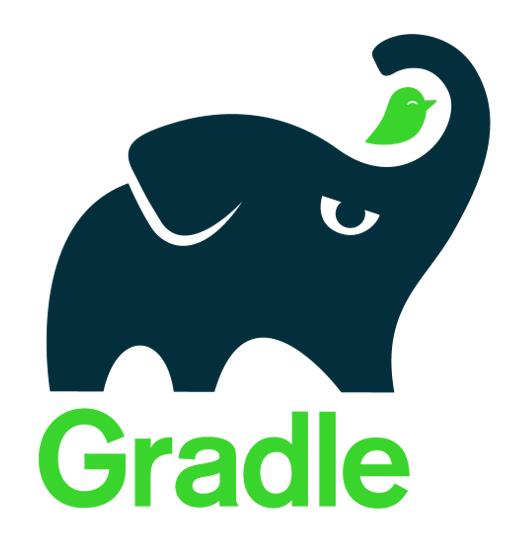 Gradle also comes with a wrapper, so as long Java is installed, the build process is fully automated and does not need additional software installed. Moreover, build.gradle files can be easily used to import projects into JetBrains IDEA. LireDemo and SimpleApplication are sub projects with their own build.gradle files. Checkout the new structure at https://github.com/dermotte/lire. This entry was posted in Dev, General, Java and tagged Gradle, Java, Lire, Retrieval on January 2, 2017 by Mathias Lux. The current LireDemo 0.9.4 beta release features a new indexing routine, which is much faster than the old one. It’s based on the producer-consumer principle and makes — hopefully — optimal use of I/O and up to 8 cores of a system. Moreover, the new PHOG feature implementation is included and you can give it a try. Furthermore JCD, FCTH and CEDD got a more compact representation of their descriptors and use much less storage space now. Several small changes include parameter tuning on several descriptors and so on. All the changes have been documented in the CHANGES.txt file in the SVN. This entry was posted in Dev, Java, Multimedia, Software and tagged cbir, Lire, LireDemo, Release on May 15, 2013 by Mathias Lux. In the current SVN version three global features have been re-visited in terms of serialization. 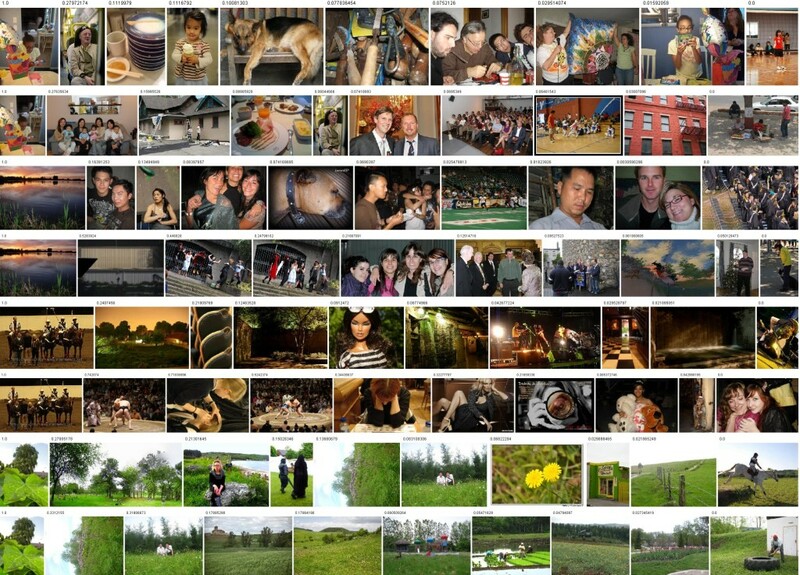 This was necessary as the index of the web demo with 300k images already exceed 1.5 GB. This significant reduction in space leads to (i) smaller indexes, (ii) reduced I/O time, and (iii) therefore, to faster search. How was this done? Basically it’s clever organization of bytes. In the case of JCD the histogram has 168 entries, each in [0,127], so basically half a byte.Therefore, you can stuff 2 of these values into one byte, but you have to take care of the fact, that Java only supports bit-wise operations on ints and bytes are signed. So the trick is to create an integer in [0, 2^8-1] and then subtract 128 to get it into byte range. The inverse is done for reading. The rest is common bit shifting. The code can be seen either in the JCD.java file in the SVN, or in the snippet at pastebin.com for your convenience. This entry was posted in Dev, Java, Software and tagged bytes, cbir, Java, Lire on April 23, 2013 by Mathias Lux. This entry was posted in Dev, General, Java, Software and tagged cbir, image, Java, Lire on April 8, 2013 by Mathias Lux. LIRE is not a sleeping beauty, so there’s something going on in the SVN. I recently checked in updates on Lucene (now 4.2) and Commons Math (now 3.1.1). Also I removed some deprecation things still left from Lucene 3.x. Most notable addition however is the Extractor / Indexor class pair. They are command line applications that allow to extract global image features from images, put them into an intermediate data file and then — with the help of Indexor — write them to an index. All images are referenced relatively to the intermediate data file, so this approach can be used to preprocess a whole lot of images from different computers on a network file system. Extractor also uses a file list of images as input (one image per line) and can be therefore easily run in parallel. Just split your global file list to n smaller, non overlapping ones and run n Extractor instances. As the extraction part is the slow one, this should allow for a significant speed-up if used in parallel. <infile> gives the images, one per line. Use “dir /s /b *.jpg > list.txt” to create a compatible list on Windows. <outfile> gives the location and name of the intermediate data file. Note: It has to be in a folder parent to all images! <input-file> is the output file of Extractor, the intermediate data file. This entry was posted in Dev, Java and tagged cbir, Lire on March 12, 2013 by Mathias Lux. This entry was posted in Dev, Java and tagged cbir, evaluation, Java, Lire on December 12, 2012 by Mathias Lux. Global features (like CEDD, FCTH, ColorLayout, AutoColorCorrelogram and alike) have been tested and considered working. Filters, like the ReRankFilter and the LSAFilter also work. The image shows a search for 10 images with ColorLayout and the results of re-ranking the result list with (i) CEDD and (ii) LSA. Visual words (local features), metric indexes and hashing have not been touched yet, beside making it compile, so I strongly recommend not to use them. However, due to a new weighting approach I assume that the visual word implementation based on Lucene 4.0 will — as soon as it is done — be much better in terms for retrieval performance. This entry was posted in Dev, General, Java, Software and tagged Lire, lucene, Release on November 29, 2012 by Mathias Lux. I just uploaded version 0.9.2 of Lire and LireDemo to Google Code. Yes, Google Code! I also migrated (more or less in a under cover action some month ago) the SVN trunk to Google Code and will move on with development there. Main reasons were that ads were getting more and more aggressive over at sf.net and the interface of a Google Code project is so much cleaner and easier to handle from a project manager point of view. Lire 0.9.2 fixes two bugs in KMeans and GenericImageSearcher. Both were critical. The KMeans fix allows now for the use of the bag of visual words approach. The GenericImageSearcher fix makes search much faster. This entry was posted in Dev, Java, Software and tagged Java, Lire, Release on September 26, 2012 by Mathias Lux. Due to numerous requests I prepared a package showing off a simple indexer and a simple search. Inside there are two classes: Indexer and Searcher. Each of them does what their name suggests. Indexer takes the first command line argument, interprets it as directory, gets all images from this directory and indexes and stores them in a newly created directory called “index”. Searcher searches in excactly this image index for the query image specified with the first argument. The sample application employs CEDD and provides an ANT build file. IDEs like NetBeans, Eclipse or IntelliJ IDEA should have no problems importing the sources and using the build.xml file for compiling and running. Arguments can be changed in the build.xml file. This entry was posted in Dev, General, Java, Software and tagged Java, Lire, sample on May 28, 2012 by Mathias Lux.